I was interested to read in the news recently that poor rural Victorians had the best diet. Often the most isolated populations had the lowest mortality rates because people consumed plenty of locally grown vegetables, whole grains, fish and milk. Consequently, a good number of country dwellers lived to a ripe old age. Rural diets in Britain were better because of payment in kind, notably in grain, potatoes, meat or small patches of land to grow vegetables or keep animals. However, changes in Victorian society, urbanisation, commercial farming and migration, led to worse diets among rural communities as locally produced food became less diverse. These days, some advertising agencies are looking at ways to persuade us to eat more vegetables. One former advertising executive had a transformative moment when, after twenty years of working for companies like McDonald’s and Coca-Cola, he discovered he had type 2 diabetes. In his own words advertisers like him were “arrogant, ignorant and blinkered.” They had no idea of the harm their work was causing. So now, instead of using every trick in the book to get us to eat chips, burgers and fizzy drinks, this particular ad man wants to turn the tables and persuade us all to eat more healthily. Sounds good to me…I love a vegetable curry! Tendons are tough bands of tissue that connect muscles to bones. Repetitive activities and overuse can cause injury and lead to inflammation, pain, and impaired function. Although the most common cause of tendonitis is overuse, it can also be caused by other conditions including inflammatory rheumatic diseases. Tendonitis can affect many different tendons in the body. If tendonitis is experienced around the elbow it is termed Epicondylitis, depending where on the elbow it is located. It is commonly termed Tennis Elbow (outer tendons) or Golfer’s Elbow (inner tendons). 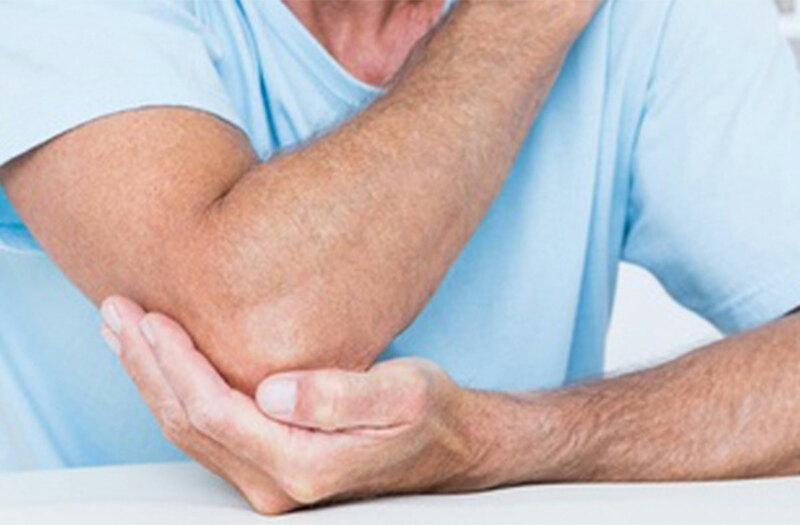 A person may feel localized elbow pain that radiates into the upper arm or down to the forearm. They may also experience weakness of the forearm. Symptoms may occur suddenly or can develop gradually over time. Tennis Elbow readily resolves with osteopathic treatment. Sometimes it can be highly effective in only a couple of treatments. Prevention should involve warm-up and cool-down exercises before and after any sporting activity. Sports activities are a regular way of life for many of us now and involve people from across all age groups from those who have an avid interest to those who just wish to keep fit; from the elite professional to the casual participant. Many sports injuries are a result of overuse. Playing too hard too often, e.g. tennis elbow, biceps tendinitis, or from not warming up properly beforehand or from not warming down afterwards. Reduced flexibility may also affect the degree of performance and could result in injury if the player is unaware that they cannot perform to the same level as they used to. For example, golfers who cannot turn at the waist as well as they used to and older footballers whose knees are now prone to injury from wear and tear. Begin slowly and build up after an injury. Warm up first and warm down with stretches afterwards. Following an injury, apply ice to the affected area for 10 minutes every hour. Podiatrists are often the first to recognise health problems. Not many of us are aware that the feet can be a good barometer of our overall health. From foot pain to numbness and tingling, your feet can often show symptoms of disease before any other part of your body. Persistent cold feet may be an indicator of poor circulation or even a thyroid problem, the gland that regulates temperature and metabolism. Chilblains, an abnormal reaction to the cold, are small itchy patches on the skin which usually disappear in 7-14 days. Thick, yellow or brown nails could indicate a fungal infection beneath the toenail. People with Diabetes, Rheumatoid Arthritis or other immune deficiencies may be more susceptible, but it is always important to get this stubborn problem treated by a podiatrist as it may lead to further skin infections. A swollen and painful big toe may be an arthritic condition known as Gout. This is caused by tiny crystals of sodium urate forming in and around the toe joint. These crystals can cause inflammation and damage to the cartilage. A change in lifestyle is sometimes necessary, losing weight or cutting down on alcohol. Persistent pins and needles or numbness in the feet can be a sign of peripheral neuropathy indicating some damage has been caused to the peripheral nervous system. Diabetes and alcohol abuse are two of the main causes of peripheral neuropathy. Seek advice from your podiatrist if you are concerned.